Thursday, January 24 at 8:00 p.m. and 10:00 p.m.
Jazz at Kitano hosts New York-based Japanese jazz singer Erika Matsuo for two sets. Matsuo burst onto the international jazz scene in 2010 with her self-produced album Obsession, a sensual sojourn through American, Brazilian, and original songs, which was hailed by All About Jazz as “a promising debut, beautifully produced and finely performed.” She had previously self-produced a single, “Close My Eyes,” in 2007. Reservations are strongly recommended, especially for the first set. To make a reservation, please call Jazz at Kitano at 212-885-7119. 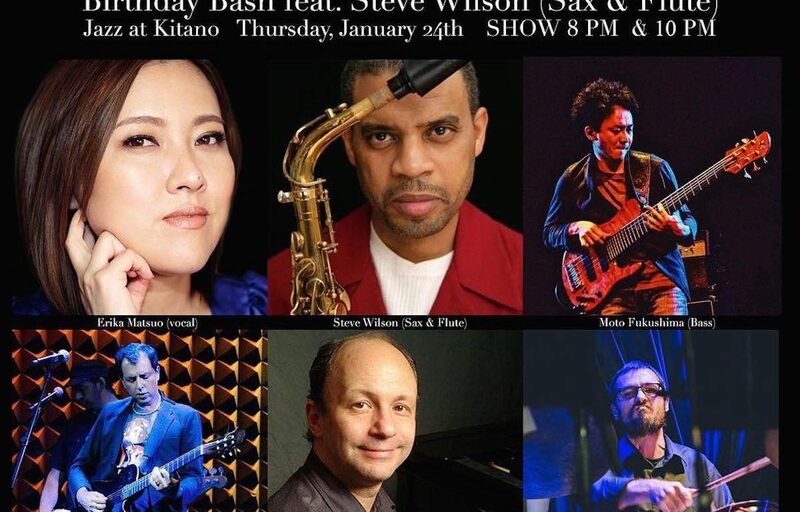 For more information about Jazz at Kitano, please visit The Kitano Hotel New York’s website.